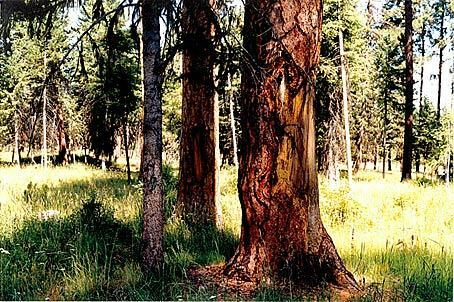 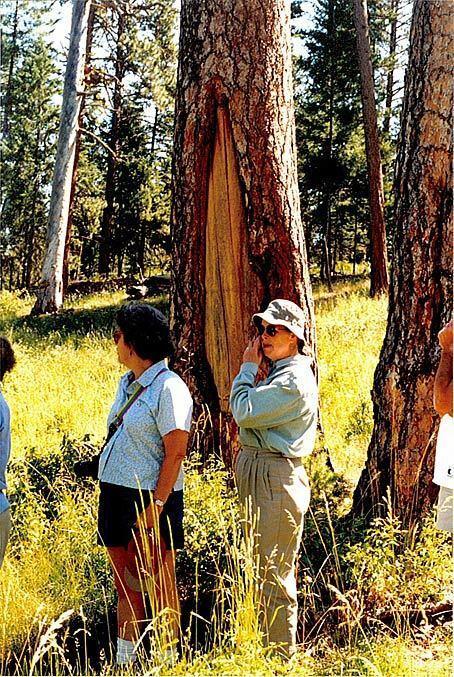 Large oval scars on these ponderosa pines give lasting evidence of the traditional spring camp of the Nez Perce (Nimiipuu) people. 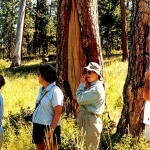 In the early spring, the Nimiipuu would peel the outer bark, using the cambium layer as supplemental food and perhaps as medicine and weaving fibers. 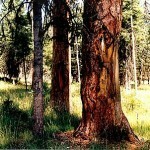 These scars were made in the late 1800’s and were probably created using metal implements acquired by trade. 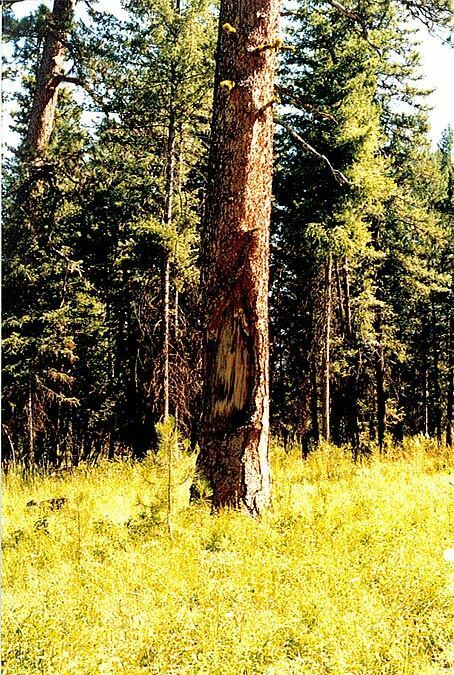 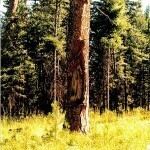 This grove is located next to the route of the Nez Perce National Historic Trail, in the Wallowa-Whitman National Forest on Forest Service Road 880, two miles south of junction with Forest Service Road 46.